I receive a lot of e-mails from Old Navy on a daily basis and most of the time I just skim through and move on. Yesterday, though, I received an e-mail that I couldn't ignore! 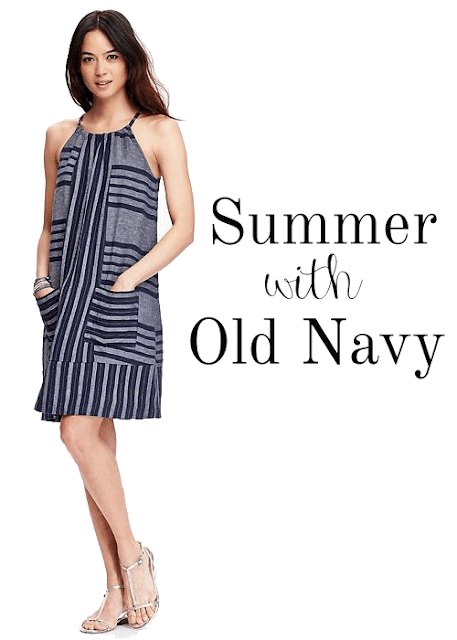 Old Navy's summer line is so super chic and affordable. I've always been a huge fan of Old Navy and shop there often - but I was truly blown away by everything available online. I love their use of stripes, the classic look of everything and, of course, the price point. I feel that many people shy away from Old Navy because of the idea that lower priced clothing is inferior in quality, but I can say with complete honesty that some of my most loved and worn pieces of clothing were purchased at an Old Navy store. I'm trying to re-vamp my wardrobe and I definitely will be adding pieces from this Old Navy line! Are you an Old Navy fan? PS: Shop today and receive 30% off of your order with the code HAPPY.